FTP, the once omnipresent File-Transfer-Protocol, has certainly received its fair share of scrutiny over recent years. 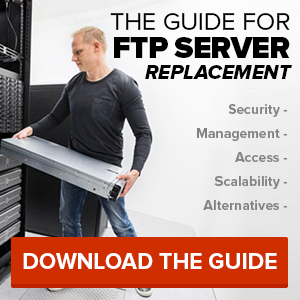 Invented in the 1970’s, FTP may be aging. We’ll explain why the most popular way of transferring files will continue to live on and on. FTP will live a long and healthy life. #1) Its role in web development + never depreciating features (intelligence, speed, unrestricted file size) still overpower the alternatives for transferring files across networks. #2) It’s the lowest comment denominator, which makes it too common, familiar and necessary simply die. Additionally, some companies have simply not justified switching to the alternative (HTTP) because of an antiquated system or the assumption that HTTP is used for the web and FTP is for downloads. Our servers are equipped with extensions like “FTPS/ES” in order to help counteract criticisms (security) commonly associated with FTP. Commands and data can now be encrypted at the touch of a button. The FTP application itself is tuned to move files the fastest and most reliable way necessary. Prove its reliability? If the transfer of your 27MB proposal fails, built-in intelligence ensures your file will resume download once the connection is reestablished. Avoid setting up a new $5000 FTP server in 2013 and managing those ongoing costs when you adapt our FTP application. Business practices that help save time and money automatically start to improve when users capitalize on unique features like customer branding, unrestricted file size and unlimited amount of control over the number of users, permissions, access and more. P.S. 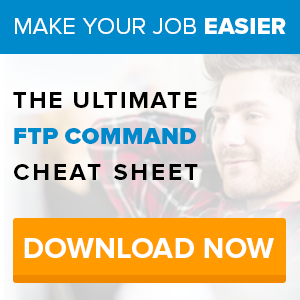 Learn about FTP Server Commands?.